Ideenschmiede 2019: Get active for Mutter Erde! „Get inspired, Get active!“ – the motto of this year’s Ideenschmiede! 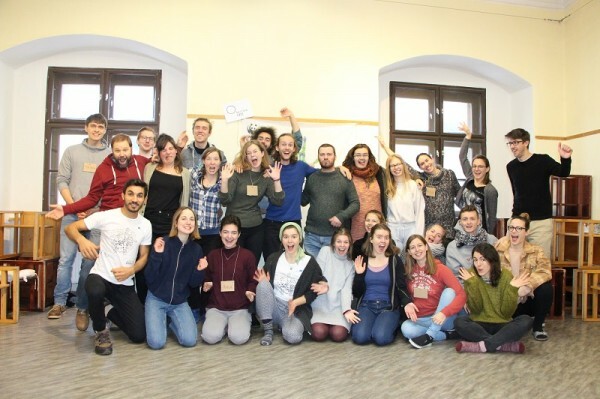 On a snowy January weekend, almost 50 active and motivated youth (and partners) gathered at a medieval castle in Lower Austria to kick off the 2019 Action Project season! 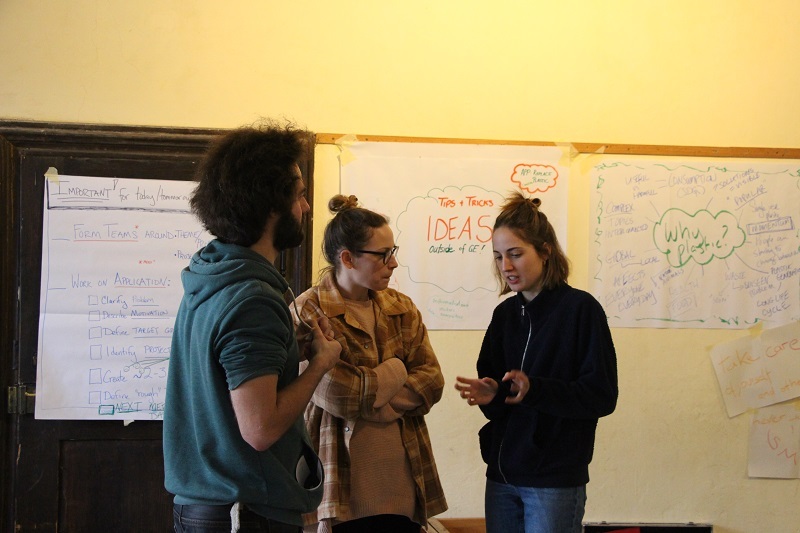 We spent 4 exciting days working together and developed many new project ideas in order to tackle the burning social and environmental issues of the plastic crisis, “Wegwerfgesellschaft” (throw away society) and climate change. We created numerous project teams and already started planning and organizing the actions and events. We not only planned cool, new projects but we also had several workshops ranging from the “plastic crisis and intervention points” by Elisa Gramlich, “pitching your ideas!” offered by Teach4Austria, a super cool theater workshop by ActinGreen, and a project management refresher. An additional highlight was an international virtual/live discussion called, “The Power of YOUth” where we heard from inspiring and active youth from Austria to Vietnam. Now, we feel very encouraged and motivated to bring our ideas to life. To cap it all off, we had an amazing Generation Earth party, with a clothing swap, dancing, face painting and more. It was wonderful to feel the community spirit and connect with (old and) new friends. We returned full of inspiration and great memories as well as full stomachs with the delicious seasonal vegan meals prepared by our amazing cooks Ulrich and Sanda. We want to warmly thank our sponsor Mutter Erde , the Umweltinitiative “Wir für die Welt” c/o Österreichischer Rundfunk ORF for the financial support to make this wonderful event happen. We are excited to share with you our 16 project ideas, which we gathered at this years Ideenschmiede! You can check them out here. Are you inspired? Do you want to get active and join a project OR do you have an idea for a project? Please complete the questionnaire below and be part of the action! For the best ideas we will provide some startup funds up to 500 EUR to get you on your way! We are looking for motivated people, who want to get active with us OR start their own projects on the topic of “plastic and addressing the consumption-based society”. If you are interested in the topic just fill out the form below until February 22nd 2019. Yes, I would like to get active! Could you briefly describe your project idea(s) - connected to the theme of plastic or our "throw away society"? If you would like to join a project team, please list the project title here. Please briefly describe any experience you have in developing a project. Have you already been involved with Generation Earth or other groups or organizations? If so, when and which ones? I will have time to design and implement a project in this year (2019). I want to subscribe to the Generation Earth newsletter and get regular updates about projects and activities.